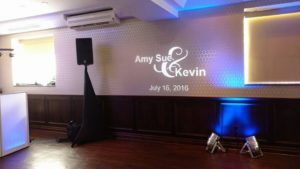 Party Time DJ Services provide DJ & Lighting services for the Retro Suites in Chatham. 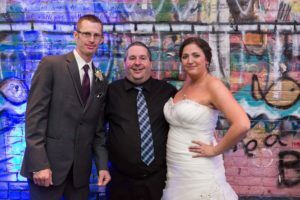 As a preferred Retro Suites DJ, we are fully confident that we can fulfill your DJ needs simply, having successfully DJ’d at the Retro Suites for over 50 events! Our DJ’s will bring your special night to life, creating a sensational evening that will remain with your guests long after your event has passed, be it a wedding at the Retro Suites, a birthday party, or a general event at the Retro Suites, our DJ’s will compliment your event by playing music for all age-ranges across a vast amount of genres, our DJ’s use only professional DJ equipment, and the very latest in digital technology. Our DJ services are available for small, medium or large events at the Retro Suites, we also provide wireless microphones for speeches, as well as dramatic up-lighting, dance floor lighting, and monogram lighting if you are looking for a more premium DJ service and a personal touch! Our DJ packages can be customized to suit your needs, we are also happy let you choose your music in detail if this is your requirement, our DJ’s work with your musical tastes to ensure complete satisfaction, our DJ’s are also down to earth and flexible, we welcome requests throughout your event at the Retro Suites. As well as providing our DJ services to the Retro Suites in Chatham, we are also available to provide DJ services to Chatham, Blenheim, Wallaceburg, Dresden, and all of the surrounding regions around Chatham-Kent, Ontario. Book a free consultation with one of our DJ’s today.